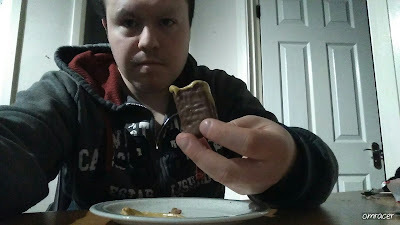 Another review from the Approved Food Haul, its been almost a month in trying to get this done, things get busy and i'm sorry. But this is quite a nice combination in its own right. 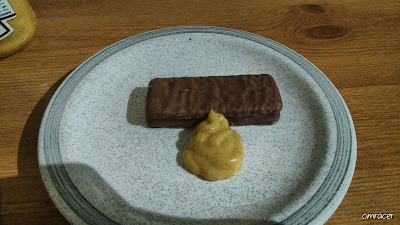 This cost £0.50 each and was not easy to find if it was not for Approved Food. Amazon do have it as well. The designs is the classic tiny heinz style that is well known and somewhat respected, this, along with a nice picture of chick drumsticks and lettuce. 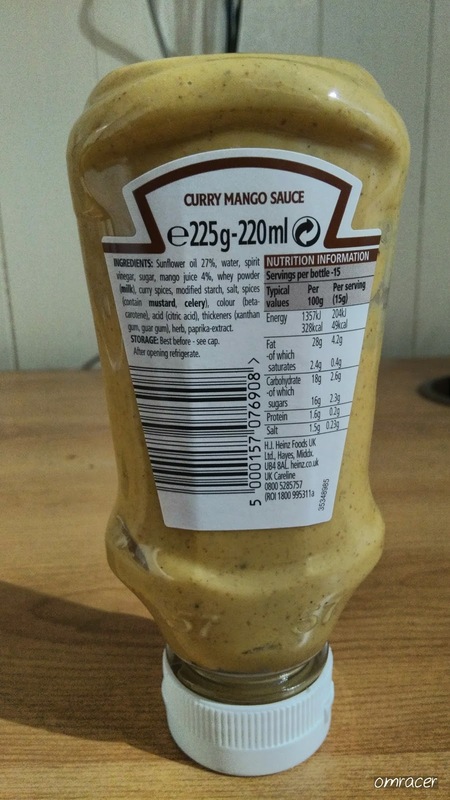 The ingredients are the same causal ones a curry sauce needs, gherkins, mustard etc. For this review, a simple snack of a Penguin will do it. 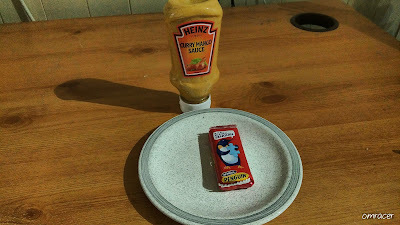 So, a plate with the sauce and Penguin it was. The Plate and the Penguin. 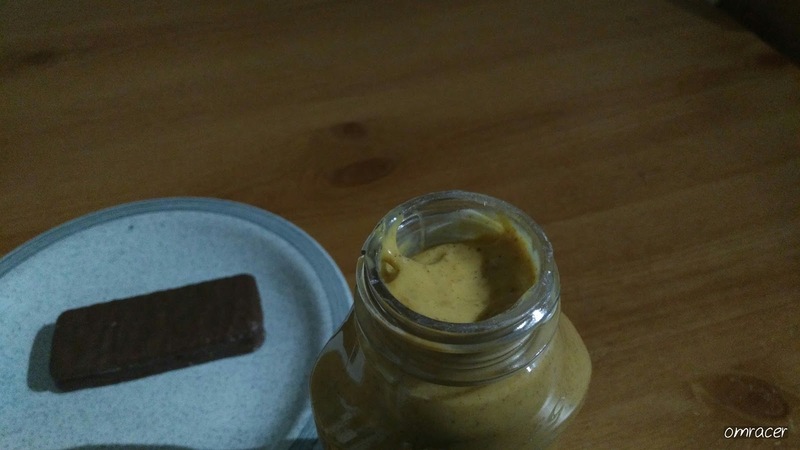 I managed to unwrap the seal at the top which can be hard with one hand but its not really a fault of the sauce. 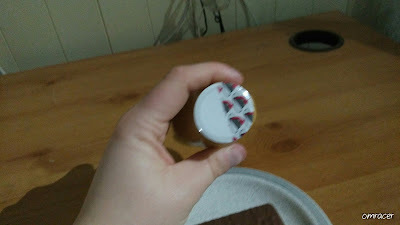 But then it squeezed out and it was pretty much the same colour the bottle had inside. 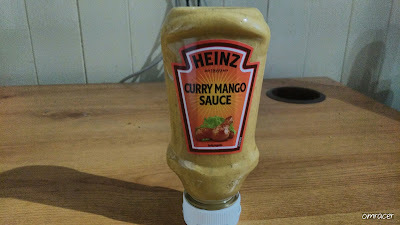 Now this pretty was tasting like curry sauce but there was a hint of Mango in that taste, so it does really taste like what it says on the tin, as it were. 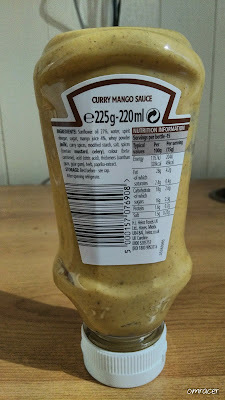 But it can leave a very strong smell of curry on your fingers too. It was a nice little one to eat and I would certainly be ideal to mix with other foods to make the flavour that little bit extra. With that in mind. Normal Price might not look attractive as it seems. More reviews coming soon, one might have a slush of a time with me.